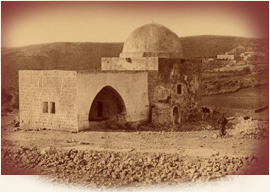 Beitar Ilit is located only 12 minutes from Rachel's Tomb, in nearby Bethlehem, and is also in close proximity to other holy sites. It is widely known that prayers offered at these sites have a tremendous impact and bring forth many salvations. As a means of appreciation for our supporters and friends, we send scholars to pray at these holy sites on behalf of the donors and their family members who are in need of a salvation. Additionally, the names of the donors are brought before Gedolei Yisrael. I would like to donate. and please forward name's for prayer. I have already donated, please forward names for prayer.